A man was shot multiple times at a Prince George's County mall Tuesday, and the suspect remains at large. 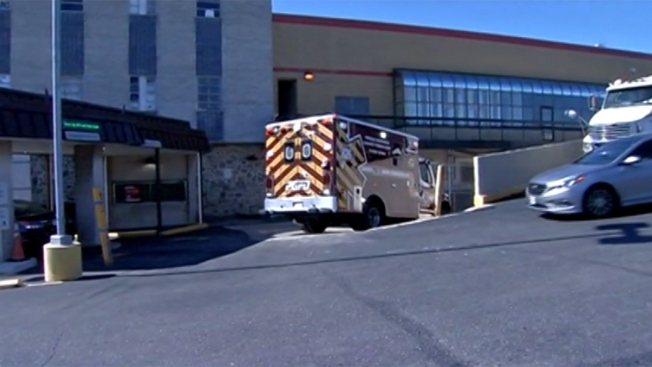 The victim was shot in a parking garage at The Shops at Iverson in Temple Hills, Maryland. He was walking with another man on a ramp near the mall's Burlington Coat Factory when he was shot. The shooting did not appear to be random, Prince George's County Police said. The victim was rushed to a trauma center. Police said his injuries didn't appear life-threatening. The suspect ran from scene, police said. There was a heavy police presence around the mall. Hillcrest Heights Elementary School and Jessie B. Mason Regional School nearby were temporarily placed on lockdown out of an abundance of caution while police searched the area for the suspect. The lockdowns were lifted about 2 p.m.
A woman who answered the phone in the mall's management office about 12:30 p.m. Tuesday said the mall had not been evacuated. The shopping center was formerly known as Iverson Mall.